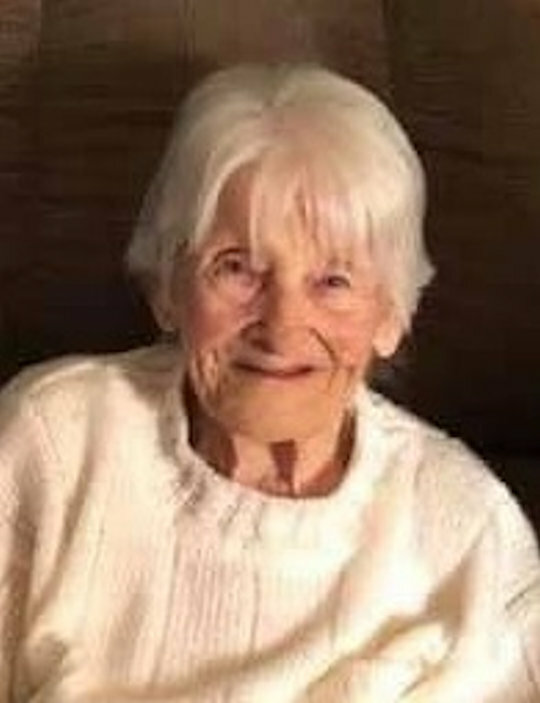 Wednesday, March 20, 2019 – 12:00 P.M.
Delphia Dalton Smallwood, age 97, of Somerset, Kentucky, passed from this life on Sunday, March 17, 2019 at Somerwoods Nursing and Rehabilitation Center. She was born on February 8, 1922 in Naomi, Kentucky, daughter of the late Carl and Oma Tarter Dalton. She enjoyed cooking and working crossword puzzles, but most of all she enjoyed her time spent with her family and her grandchildren. She was of the Baptist faith and she will be missed by all who knew and loved her. She was preceded in death by her parents, Carl and Oma Dalton; her husbands, Adrian Vaughn and Caleb Smallwood; two sons, Ronald Vaughn and Donald Vaughn; her brothers, Barrett Dalton, Bert Dalton, Woodrow Dalton, Ceburn Dalton and Delno Dalton; her sisters, Dorothy Ward, Elvaree Burton, Edith Young, Elta Ledford and Mae Haynes, and two infant siblings. She is survived by one son, Leonard Vaughn of New Port, Kentucky; one daughter, Wanda Sue Beshear of Nancy; sisters, Sylvia Elmore, Jean Slusser and Audrey Hughes, all of Sidney, Ohio; grandchildren, Myra Reece, Aaron Reece, Moe Daulton, Steven Daulton, Wanda Jean Vaughn, Johnny Vaughn, Raymond David Vaughn, Misty Dawn Vaughn, Lisa Kay Vaughn, Donald Vaughn, Linda Gail Vaughn, Rhonda Vaughn, David Wayne Vaughn, Shane Vaughn and Tony Vaughn; great-grandchildren, Brianna Camille LaBeau, Kaitlyn Paige Myers, Gunner Richardson, Sebastian Vaughn, Cassie Hall, Cameron Hall and Eric Burdine. Visitation will begin at 10:00 a.m. on Wednesday, March 20, 2019 in the Chapel of Southern Oaks Funeral Home with funeral services to be held at 12:00 p.m. on Wednesday at the funeral home with Rick Barker officiating. In lieu of flowers the family requests that donations be made to the American Heart Association and/or The American Cancer Society. Southern Oaks Funeral Home is entrusted with the arrangements for Delphia Dalton Smallwood.